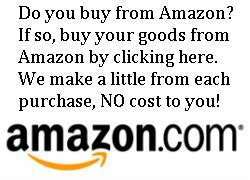 Those are the words of Hans Schneider, long time frame builder, residing in Huntsville, Texas. 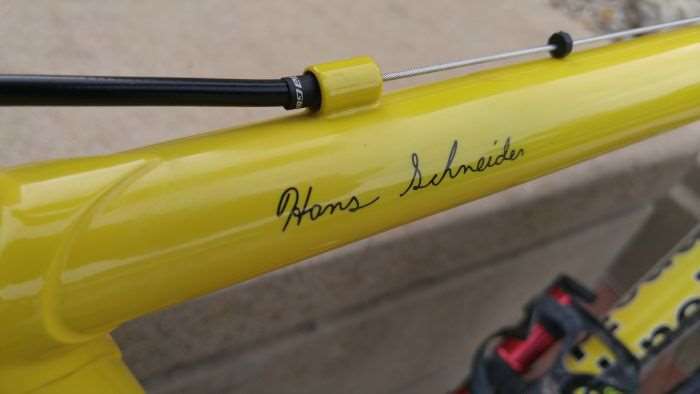 Hans Schneider isn’t a household name, but if you speak to those who own one of his bicycles, it is a treasured part of their household. Custom bicycles are the specialty of Hans, and that rings true with the bike you see before you. Belonging to Venny Wilmuth, she was in need of a custom built cyclocross bike, but with a difference. 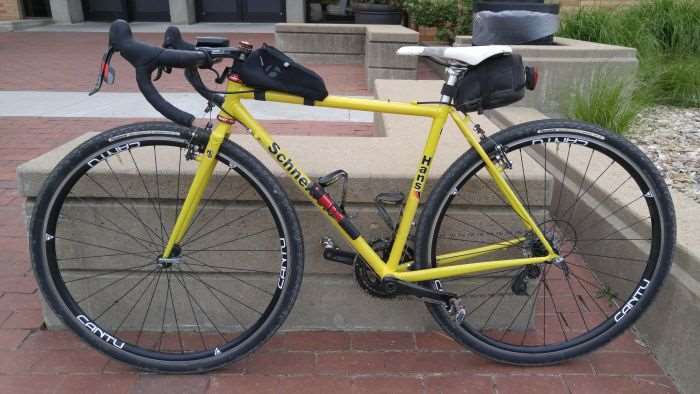 The bike (also known as Bumblebee) would be doing duty for cyclocross and gravel racing (bigger tyre clearance), and had to cater to Venny’s physique. At 4’11”, a rider of Venny’s stature finds nothing suitable in the world of mass produced / stock bicycles. 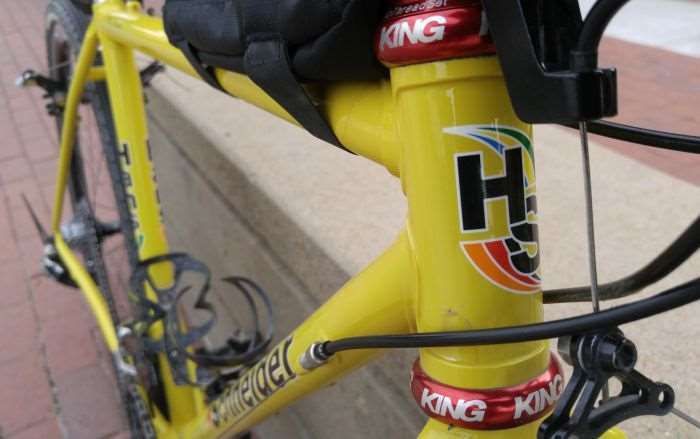 Hans has a variety of different steel tubing at his disposal, such is the nature of a custom bicycle. Appropriately shaped tubes with different wall thicknesses, butting and lugs, can be assembled to provide optimal fit. The frame is constructed from a mix of KVA stainless steel and True Temper tubing. 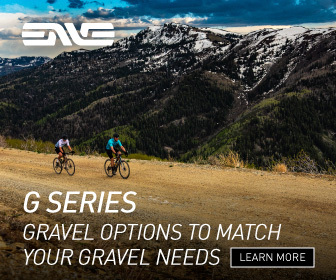 Venny relies on SRAM Red 11-speed mechanical shifting and cantilever brakes. 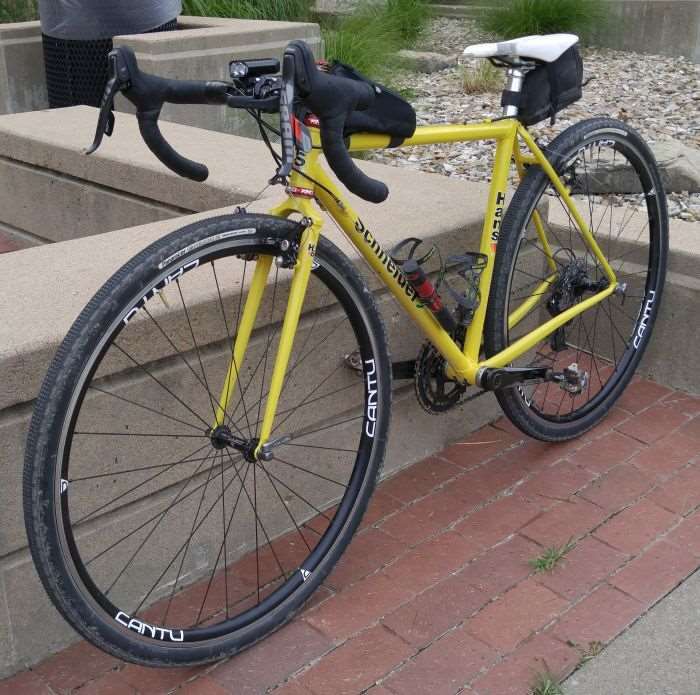 This drivetrain is a solid performer, good enough to see Venny smash out her first Dirty Kanza 200 in a time of 14:12:23 – and, beat the sun. Nice! 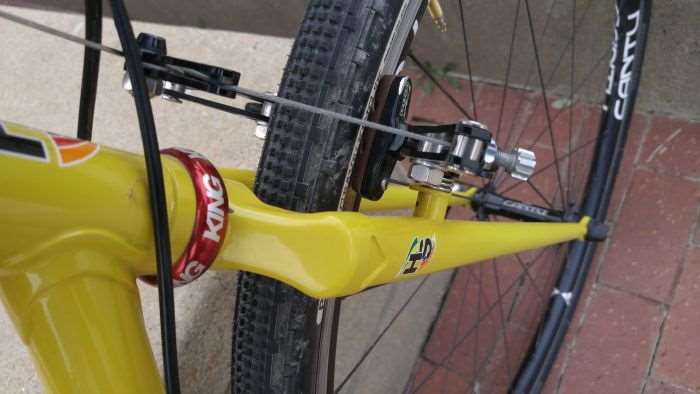 Pictured above is the unique FSA SL-K -20 degree drop stem. Typically intended for use on mountain bikes to lower the front end, the low 28mm stack height is a nice solution when you need to get creative, dialing in your position. 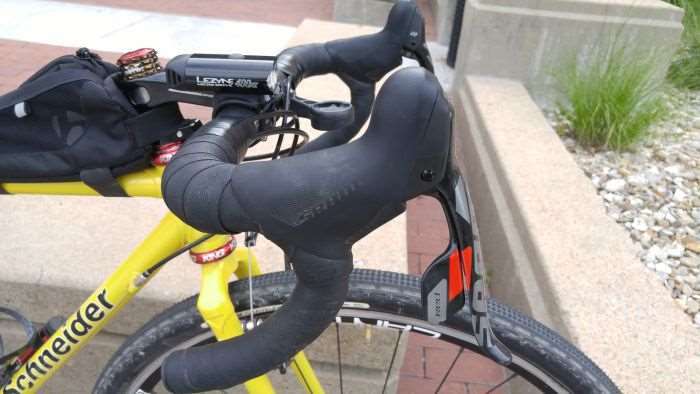 The Barfly mount is seldom seen, but is a good option for mounting a Garmin computer from the left side, particularly when handlebar space is a premium. 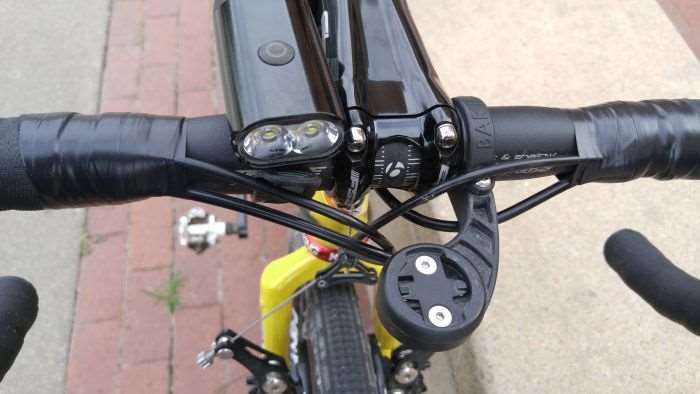 Venny has a light mounted, in the event her Dirty Kanza finish would come after the sunset – not the case this year! Cantilever brakes may be considered obsolete with the advent of disc brakes, but there is no denying their ease of setup and maintenance. Not all brakes are created equal, but some of the cantilever models available on the market offer plenty of braking power. 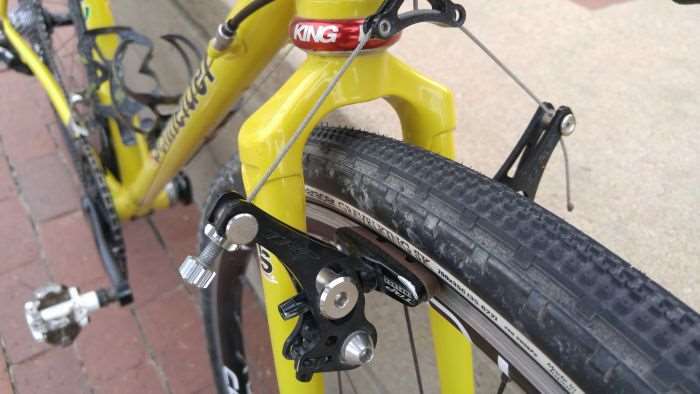 TRP’s RevoX brakeset is touted as offering “profound stopping power”. Classic fork crown and complementing straight blades on the all steel, Hans Schneider fork. 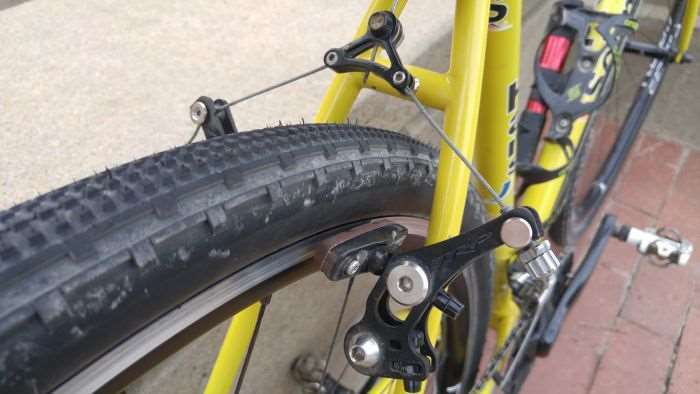 Remember, to avoid shuddering with cantilever brakes, toe in the pad using a business card or two to set the pad angle. 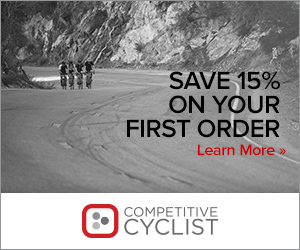 SRAM Rival crankset with 46 / 36 chainrings – good for cyclocross and the near perfect combination for gravel cycling. 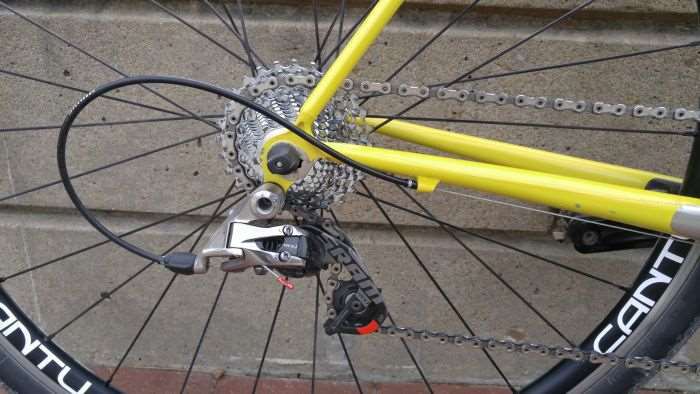 A SRAM Red mechanical front derailleur handles the chore of shifting between chainrings. 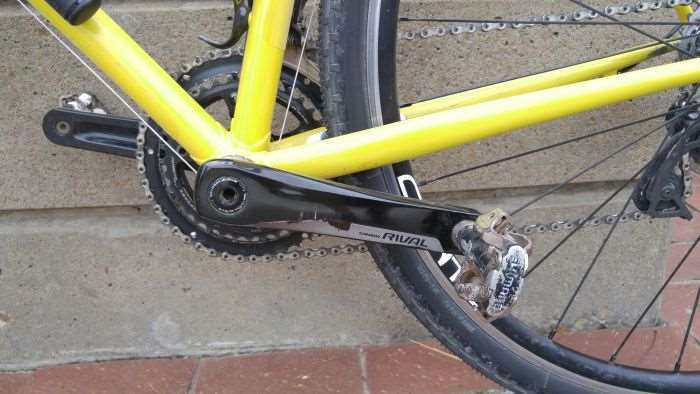 The SRAM Rival non-drive side crank and a well-used set of Shimano SPD pedals. SRAM Red short cage rear dererailleur. 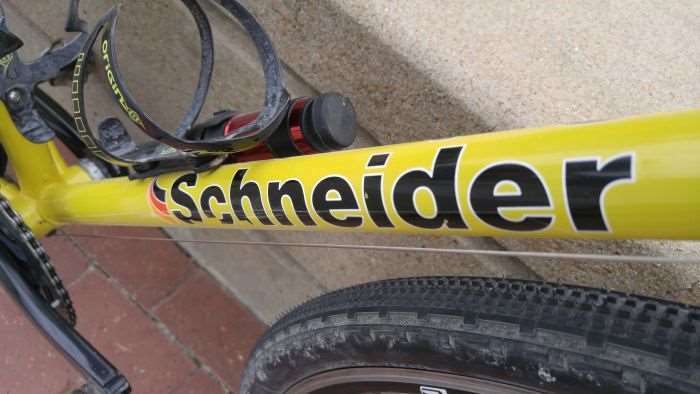 No surprises with the chainstays on Venny’s Hans Schneider CX bike; simple, but elegant. SRAM PG1170 11-28 cassette and regular quick release interface. Cantu Wheels, based out of New Waverly, Texas, provide Venny’s wheels, which feature the company’s A25 rim (25mm deep, 24.5mm wide), in a 28 / 28 spoke count, front and rear. 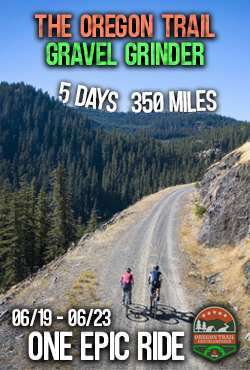 Tyres are the superb Panaracer Gravelking GK in 700c x 35mm. Venny’s well used Selle Italia X1 Flow saddle, mounted to a Thomson zero setback seatpost. Frame: Hans Schneider Steel CX, regular quick release. 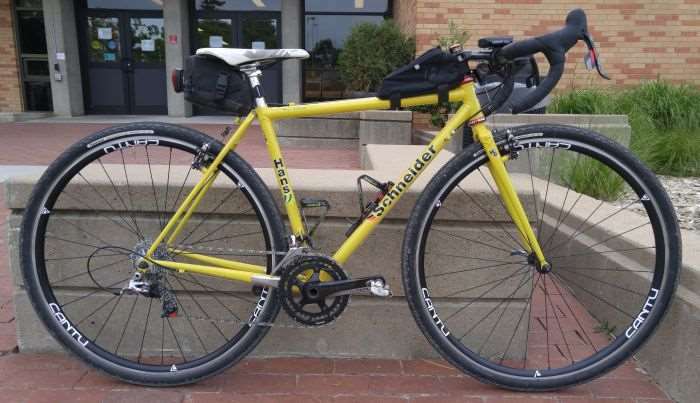 Fork: Hans Schneider Steel CX. Headset: Chris King 1 1/8″ standard headset. Stem: FSA SL-K -20 degree drop stem. Handlebar: Bontrager Short and Shallow, VR-S aluminium. 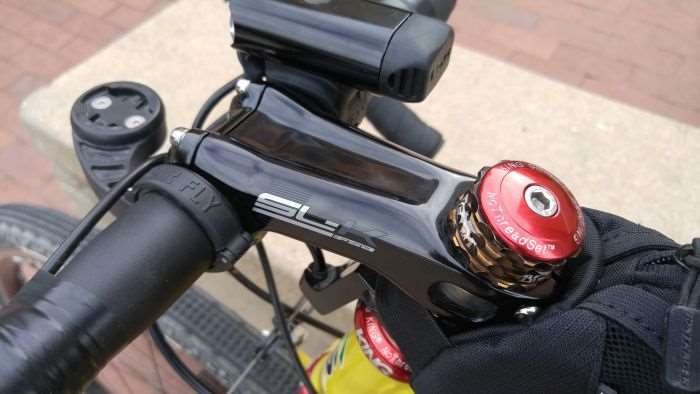 Brake Levers: SRAM Red 11-speed mechanical. Front Derailleur: SRAM Red 11-speed Yaw mechanical. Rear Derailleur: SRAM Red 11-speed mechanical. 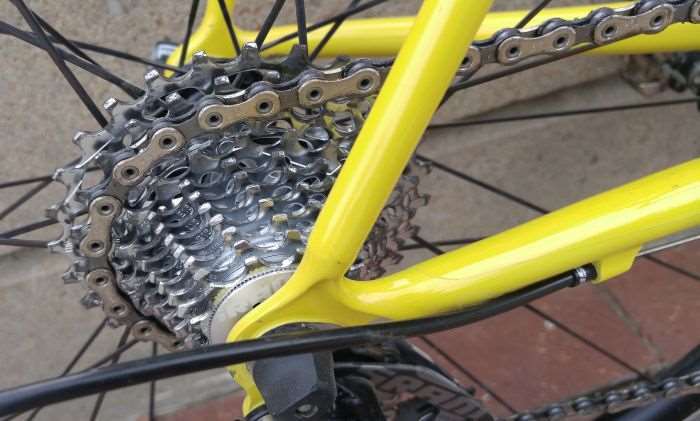 Cassette: SRAM PG1170 11-speed 11-28. 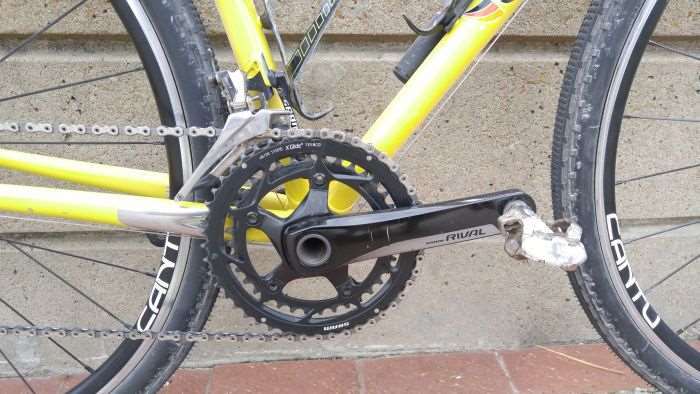 Crankset: SRAM Rival with 46 / 36 chainrings. Wheelset: Cantu 33 rims, 28 Sapin CX-Ray spokes front and rear, Cantu hubs, tubeless. 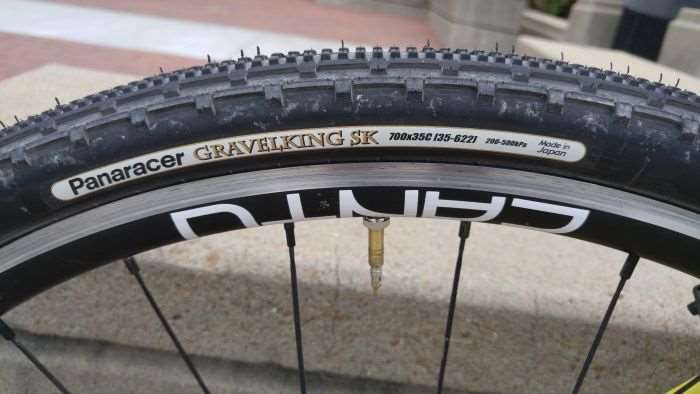 Tires: Panaracer Gravelking SK, 700c x 35mm. 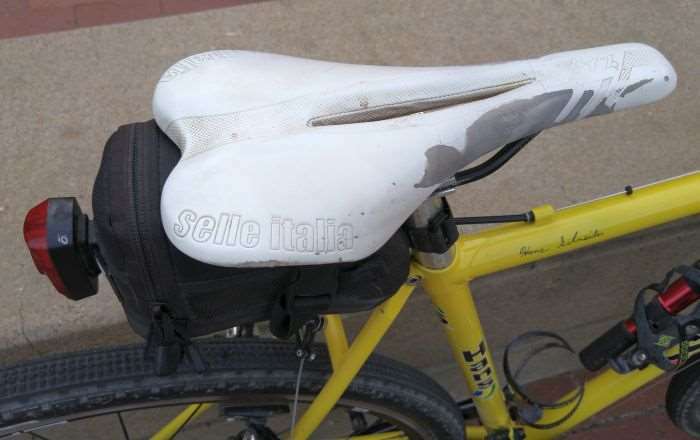 Saddle: Selle Italia X1 Flow. Seatpost: Thomson Elite Zero setback. Bottle Cages: Origin 8 carbon.